Thanks to UNIVERSAL PICTURES HOME ENTERTAINMENT. 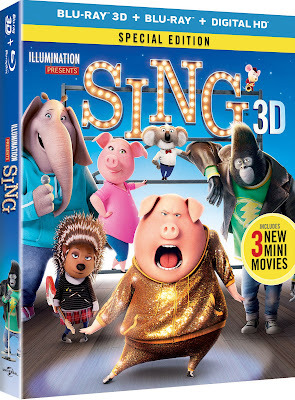 we have copies of SING (Blu-ray 3D+ Blu-ray + Digital HD) to giveaway to some lucky fans. 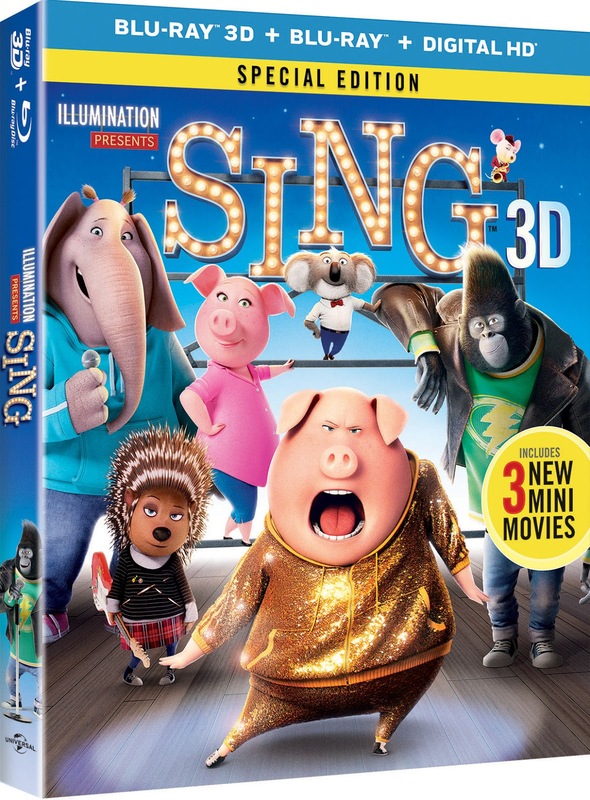 “Set in a world like ours but entirely inhabited by animals, Sing stars Buster Moon (Academy Award® winner Matthew McConaughey), a dapper koala who presides over a once-grand theater that has fallen on hard times. Buster is an eternal—some might even say delusional—optimist who loves his theater above all and will do anything to preserve it. Now faced with the crumbling of his life’s ambition, he has one final chance to restore his fading jewel to its former glory by producing the world’s greatest singingcompetition. For the funny, charming, uplifting—and most of all, deeply human—film that features more than 65 songs, McConaughey is joined by fellow Oscar® winner Reese Witherspoon, as well as Seth MacFarlane, Scarlett Johansson, John C. Reilly, Taron Egerton and Tori Kelly. Let us know in the email the special code we announced on our podcast for a bonus chance to win.